Talk title: Why has dengue resurged, why does malaria persist, and can these diseases be controlled by CRISPR-based gene drive and other novel tools? Biography: John received his PhD in biomathematics from UCLA in 2008 writing his dissertation on the use of GM mosquitoes to control malaria transmission. 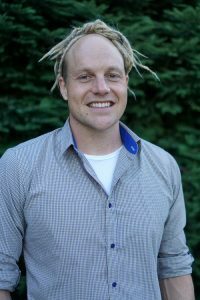 Prior to joining UC Berkeley, he worked on several aspects of this project as a PostDoc – social, cultural and regulatory issues at the UCLA Center for Society & Genetics, ecological field work at the Malaria Research and Training Center in Mali, molecular biology and population genetics at Caltech, and infectious disease modeling and epidemiological field work at Imperial College London. At UC Berkeley, he teaches two courses on mathematical modeling of infectious diseases and consults on this field generally. His own research focuses on the use of mathematical models to inform novel genetics-based strategies for mosquito control, and to support efforts to control and eliminate mosquito-borne diseases such as malaria, dengue and Zika virus broadly.